The impact of moving from job to job on a worker’s career depends on individual circumstances. However, any time you leave a job — whether you’ve been there for three years or 30 years — you could be faced with a decision about what to do with the savings in your employer-sponsored retirement plan. There are typically four options. Leave the savings in the account. If your employer allows you to retain the account, this strategy might make sense as long as fees are low and you are satisfied with the investment options. Keep in mind that you will no longer be able to contribute to the account, and it could be bothersome to receive multiple retirement account statements. Transfer assets in a former employer’s plan to a new employer-sponsored retirement plan (if allowed). This might be a better option than leaving assets in your former employer’s plan. Again, your decision may depend on the available investment options and expenses. Roll the funds to an individual IRA. Moving your savings to your own IRA enables you to control the money, regardless of how many times you change jobs. It could also expand investment opportunities because IRAs typically have more investment options. If you choose an IRA rollover, be sure it is executed properly if you want to preserve the tax-deferred status of the funds. You can generally do this through a direct rollover, also called a trustee-to-trustee transfer. You can arrange this by contacting the administrators of your old employer-sponsored account and your traditional IRA. There is no withholding, and the money never passes through your hands. If you receive a check, you must roll the entire distribution (including 20% federal income tax withholding) to your IRA within 60 days or it will be considered a taxable distribution. Withdraw the money. This is generally unwise because you would also lose out on potential tax-deferred growth that you might need for retirement. In one study, 55% of people who took distributions when changing jobs said they regretted the decision.² Distributions from employer-sponsored retirement plans and traditional IRAs are taxed as ordinary income and may be subject to a 10% federal income tax penalty if taken before age 59½ (with some exceptions). Choosing what to do with the savings you have accumulated in your employer-sponsored plan can be complicated, and you may benefit from professional guidance. Although there is no assurance that working with a financial advisor will improve investment results, a professional who focuses on your overall objectives can help you consider options that could have a substantial effect on your long-term financial situation. The information in this article is not intended as tax or legal advice, and it may not be relied on for the purpose of avoiding any federal tax penalties. You are encouraged to seek tax or legal advice from an independent professional advisor. The content is derived from sources believed to be accurate. Neither the information presented nor any opinion expressed constitutes a solicitation for the purchase or sale of any security. This material was written and prepared by Emerald. Copyright © 2013 Emerald Connect, Inc. When saving for retirement, some workers who are concerned about stock market volatility may turn to fixed-income investments, but the current yields on these vehicles may not generate the income they will need. For this reason, a variable annuity has become a popular option for pre-retirees and risk-averse investors. Using this hybrid insurance/investment product, they can set aside additional funds for retirement, defer taxes on earnings (until withdrawn), and potentially mitigate investment risk. A variable annuity is an insurance-based contract that offers potential growth through market participation. The contract owner makes one or more payments to an insurance company during the accumulation phase in exchange for a regular income stream during the payout phase. These payouts could last for the rest of the owner’s lifetime (and/or the lifetimes of designated individuals), offering some protection from outliving assets. The contract owner can invest the premiums among a variety of investment options, or “subaccounts,” according to his or her risk tolerance, long-term goals, and time horizon. Most contracts offer a range of stock, balanced, bond, and money market subaccounts, as well as a fixed account that pays a fixed rate of interest. 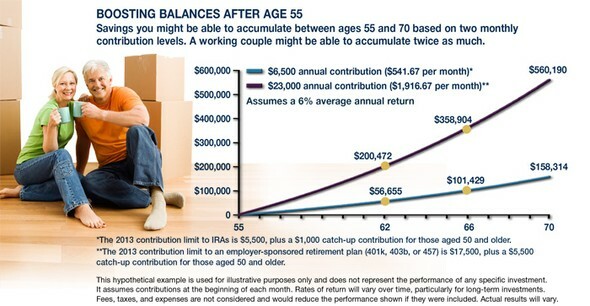 The future value of the annuity and the amount of income available during retirement are determined by the performance of these selected subaccounts. Because variable annuity sub-accounts fluctuate with changes in market conditions, the principal may be worth more or less than the original amount invested when the annuity is surrendered or annuitized. The investment return and principal value of an investment option are not guaranteed. Not only does a variable annuity offer a way to help pursue investment gains, but the contract owner may be able to purchase guarantees to help protect against the downside risks of investing in the markets. Optional benefits — such as a guaranteed minimum death benefit, a guarantee of minimum fixed income payments, or withdrawals of a specific amount over a lifetime, regardless of account value — may be available for an additional cost. Any annuity guarantees are contingent on the claims-paying ability of the issuing insurance company. Variable annuities are not guaranteed by the FDIC or any other government agency; they are not deposits of, nor are they guaranteed or endorsed by, any bank or savings association. Annuities purchased with after-tax dollars could help supplement other sources of retirement income. Only the earnings portion of variable annuity withdrawals is taxed as ordinary income. Withdrawals made prior to age 59½ may be subject to a 10% federal income tax penalty and could reduce the death benefit and value. There are contract limitations, fees, and charges associated with variable annuities, which can include mortality and expense risk charges, sales and surrender charges, investment management fees, administrative fees, and charges for optional benefits. Although an 80% income replacement ratio is a reasonable goal, it does not indicate how much you need to accumulate and what to expect from other income sources. That could depend on several factors. Rates of return. Higher investment returns might result in a higher income stream, but this also involves a higher degree of risk. Rates of return will vary over time, so it might be a good idea to use a moderate return rate for your long-term projections. Age when you begin saving. The earlier you start, the less you may need to save out of each paycheck because compounding should enhance your overall savings accumulation. Age of retirement. The earlier you retire, the less time you may have to accumulate savings and the longer your retirement might last. This generally means that you will need to increase your savings rate while you are working. Of course, the amount you need to save for retirement will also depend on other variables such as your lifestyle, your post-retirement medical expenses, the length of your retirement, and your supplementary sources of income. The key is to develop a solid strategy and maintain a steady pace toward your savings goal. The Empty Nest: An Opportunity to Build Retirement Savings? The good news is that adult children typically find jobs, move out, and support themselves. When this happens, parents may suddenly have more disposable income. There’s nothing wrong with treating yourself, but increasing your consumer spending later in life could create lifestyle expectations that may be too expensive to maintain in retirement. It might be wise to dedicate at least some of the extra income to your retirement savings. You may be surprised by how much of a difference late-career contributions could make (see graph). Here are two additional financial strategies to consider when your children leave the nest. Of course, the housing market varies significantly by region. All investments are subject to market fluctuation, risk, and loss of principal. Investments, when sold, may be worth more or less than their original cost. Examine your insurance coverage. Auto insurance coverage is typically based on the location where a car is garaged (with some exceptions for college students), so if your children no longer live at home, you may save money by removing them from your policy. The Affordable Care Act allows children to remain covered under their parents’ health insurance plans up to age 26 unless the child has access to health insurance through his or her own employment. Some plans extend dependent coverage up to age 26 regardless of employment, so you may want to investigate your options. Keep in mind that insurance companies often charge the same premium for family coverage regardless of how many children are covered under the policy. An empty nest may seem like uncharted territory. It might be a good time to take a deep breath and make sure you have a clear financial strategy for the next stage in your life. A will is a good starting point to help ensure that your assets are passed on to your heirs according to your wishes. However, it’s also important to specify beneficiaries for financial accounts and insurance policies on the appropriate forms, which may supersede instructions in a will. In any document distributing assets to your heirs, you may want to designate contingent beneficiaries in the event that a primary beneficiary predeceases you. If your spouse is still alive, a typical approach would be to leave the assets to your spouse, with your children as contingent beneficiaries. If your spouse has passed away, you might leave your estate in equal shares to your children. This is fairly straightforward, but what happens in the unfortunate event that one of your children predeceases you? That would depend on the language of your will or beneficiary designation form. It may be helpful to understand two common Latin terms. Per stirpes (also called “by representation”) literally means by the roots, but it might be clearer to imagine the branches of the family tree. If one of your beneficiaries predeceases you, his or her share would be divided proportionately among his or her heirs upon your death. Per capita literally means by the head, indicating equal shares for each member of a group. If one of your beneficiaries predeceases you, the division of assets would depend on how you defined the group of heirs. For example, if the beneficiary forms designate that assets go to your children per capita and one child predeceases you, your assets would be divided among your surviving children, and any children of the deceased child would receive nothing. However, if you indicate that your assets should go to your heirs (or issue) per capita (or to your surviving children and children of any deceased child per capita), your assets would be divided equally among your surviving children and the children of your deceased child upon your death (see chart). If you do not clearly specify your wishes, your assets could be distributed according to state law and/or the default method defined in your account or policy documents. Before making estate planning decisions, it would be wise to consult an experienced estate planning professional. The cost of care varies widely among different facilities and from state to state. National median rates are $3,300 per month for an assisted-living facility and $222 per day for a private room in a nursing home.3 On an annual basis, that adds up to $39,600 and $81,030, respectively. About one out of five people who enter a nursing home stay for at least five years, so there is a significant risk of extended out-of-pocket costs.4 Wherever you live, it would be wise to factor in the potential costs of long-term care into your retirement savings strategy. Medicaid — a joint federal and state program designed to assist low-income individuals — offers some long-term-care coverage. But it can be difficult to qualify for Medicaid, the choices of care are more limited, and households may have to “spend down” their assets in order to obtain benefits. Unfortunately, you can’t anticipate when a health crisis could occur that requires the need for long-term care. As with many of life’s challenges, the wisest course is to be prepared. More than one-third of retirees lack confidence that they will have enough money to live comfortably throughout their retirement years.1 Committing to a savings strategy during your working career could go a long way to help alleviate this concern, but it’s also important to make sound decisions when withdrawing assets from the portfolio you worked so hard to accumulate. Lately, in response to a concern that future market returns might be lower than historical averages, some retirees have reduced their initial withdrawals to 3% or 3.5%.3 By contrast, more optimistic or aggressive investors and those who can rely on a traditional pension for some income might begin with a higher withdrawal rate. An alternative approach is to envision a three-phase retirement and divide your investment assets into three pools that reflect the needs, risk level, and growth potential of each phase. In the first pool you might hold cash and cash alternatives; in the second you could have mostly fixed-income securities, such as bonds; and in the third you could have growth-oriented investments such as stocks that might be more volatile but have higher growth potential over the long term. For the first five years or so, you might receive income primarily from assets in the first pool. For the middle phase, five to 15 years in the future, you would have income from the second pool of assets. And during the third phase, more than 15 years in the future, you would have income from growth-oriented investments. Throughout your retirement you could periodically shift assets from the long-term pool to the shorter-term pools so that you would continue to have mid-term and short-term funds available (see accompanying illustration). Some retirees might be more comfortable having targets for specific investments and dividing a long-term strategy into more manageable segments. However, this method also depends on market performance, and if assets for one pool are depleted earlier than planned, you may have to draw on assets from the next pool. All investments are subject to market fluctuation, risk, and loss of principal. Investments, when sold, and bonds redeemed prior to maturity may be worth more or less than their original cost. Asset allocation is a method used to help manage investment risk; it does not guarantee against investment loss. The most appropriate distribution strategy for your own retirement income depends on many factors, such as the size and performance of your portfolio, as well as your risk tolerance, lifestyle goals, health, and life expectancy. Balancing these and other factors can be daunting, and you may benefit from professional guidance. Although there is no assurance that working with a financial advisor will improve investment results, a professional who focuses on your overall objectives can help you consider options that could have a substantial effect on your long-term financial situation.